← Can You Know the Mind of God? Tim Hansel in his book Holy Sweat tells a story about Jimmy Durante, one of the great entertainers of a generation ago. Durante was asked to be a part of a show for World War II veterans. He told them his schedule was very busy and he could afford only a few minutes, but if they wouldn’t mind his doing one short monologue and immediately leaving for his next appointment, he would come. Of course, the show’s director agreed happily. But when Jimmy got on stage, something interesting happened. What a powerful and inspiring example of teamwork. It’s the attitude and action that should characterize God’s people, the church. Working together. Each contributing what they can. Not allowing their limitations to hold them back. But cheerfully and humbly doing what each is able to do. The New Testament church of Corinth had a problem in exalting men. Of putting them on pedestals. And forming cliques. “I follow Paul” one would boast. Another bragged, “I follow Apollos.” And a third would counter, “I follow Peter.” Of course, these were examples Paul used to denounce the party spirit. Paul admonished them to put God’s workers in their proper perspective as mere men who were ministers of Christ. “Who then is Paul, and who is Apollos, but ministers through whom you believed, as the Lord gave to each one? I planted, Apollos watered, but God gave the increase. So then neither he who plants is anything, nor he who waters, but God who gives the increase. Now he who plants and he who waters are one, and each one will receive his own reward according to his own labor.” (1 Cor 3:5-8). As I move into a new phase of ministry in the Kingdom, I’m reminded that I am just one tiny piece of the puzzle. One member of a great spiritual team. One worker among many. I’ve never planted a new work, but always labored with churches that others began. I tried to build on their work and others followed me to do the same. Just like Paul, Apollos and Peter came from different social and economic backgrounds, possessed different personalities, and were different in their method of presentation, they were co-workers. With God. With Christ. With the brethren. And with each other. We all have different talents, skills, and abilities. Each brings something different to the table. We are presented with different opportunities. Some labor in obscurity in small churches in little towns. Others preach for large churches in metropolitan areas. Some are in demand nationally for speaking engagements, while others spend all their time in local churches. Some preachers labor in difficult foreign fields for most of their lives, while others spend all their time in the comfort of the USA. Some are writers. Others are not. Everyone’s personality is different. Some ministers are driven Cholerics. Some are enthusiastic Sanguines. Others are analytical Melancholies. And still, others are easy going Phlegmatics. 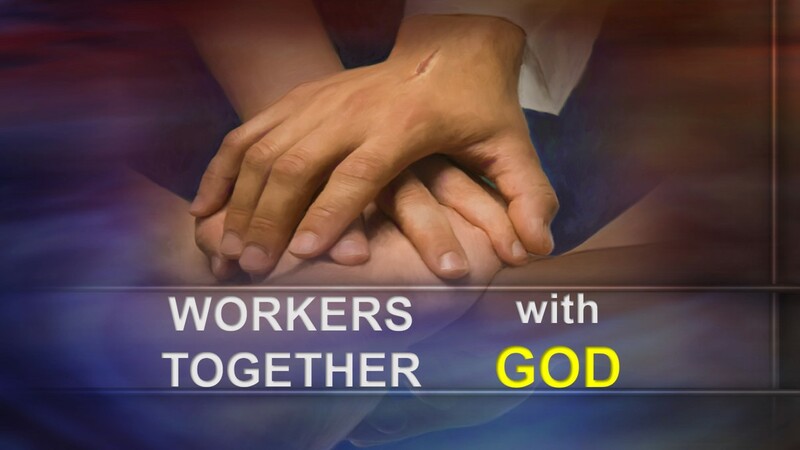 But we are all workers together with God. The church grew in the first century as each worked together. Planting. Watering. Teaching. Edifying. Admonishing. Exhorting. And sometimes rebuking. Some traveled extensively like Paul, and apparently, others labored in one place or geographical area. But all were important to the growth of the Body of Christ.